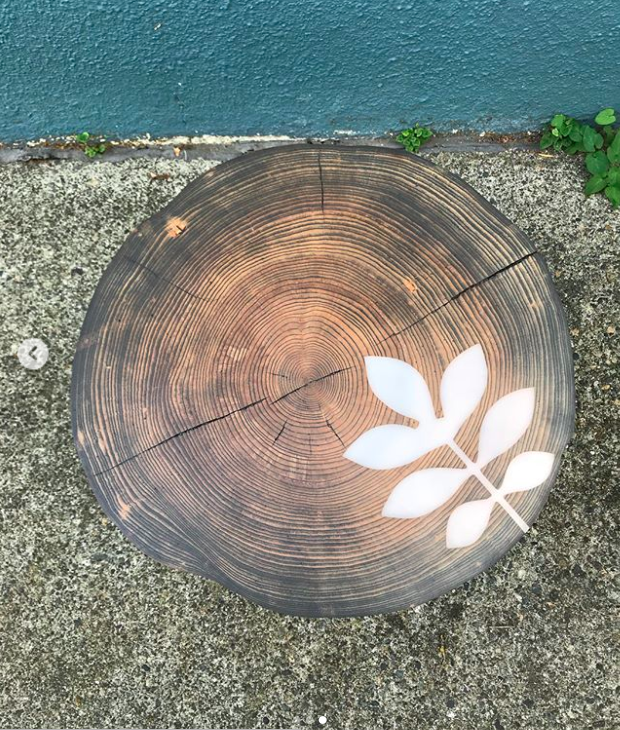 This Eastern Ash Wood Round came from a tree that succumb to the Emerald Ash Borer – an insect that has decimated this species of tree in the Eastern States. The white resin inlay depicts the leaf of the Ash tree. 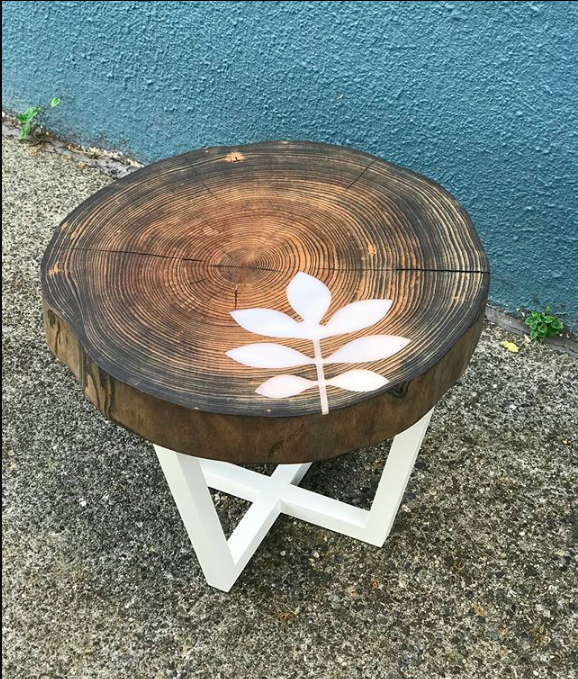 This piece is sold but please start a conversation if you’re interested in a similar table. Aprox. 22″ round. 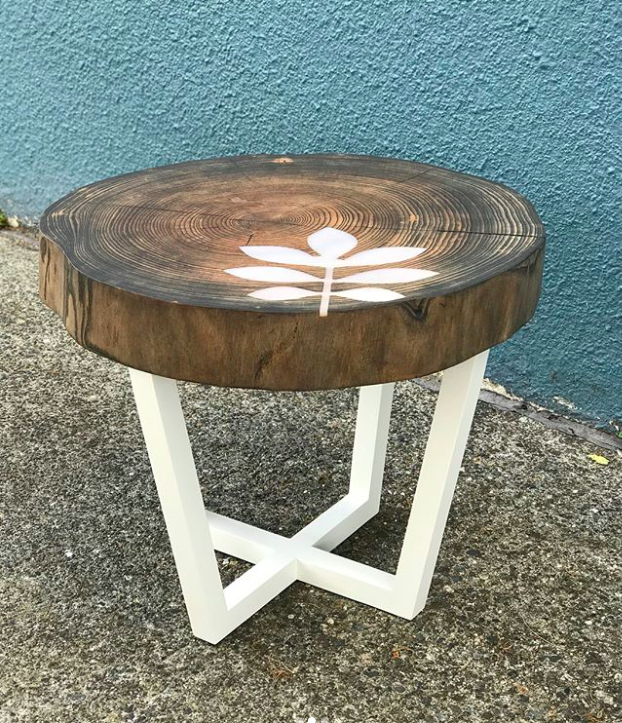 The top surface of the table is 18″ from the floor. Finished with non-toxic OSMO Polyx Oil: durable, natural, waterproof and safe for food and skin contact. Legs are finished with ultra-low VOC paint. Most custom requests can be accommodated – please ask!